July 2017. Summer events update. Share Open Day invitation. Funding for Go Anywhere, Do Anything. Awards for All grant. M&S Clapham South donation. Share Election. Home cooking for Share students. Volunteering workshop with Share students. Wandsworth Oasis plants. Celebrating 200 sessions with Disability Sports Coach. New staff join Share. Parents/Carers' meeting. 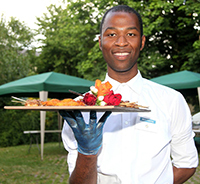 Our summer events are over – it was wonderful to see so many of our supporters and friends. Thank you to everyone who attended our events and supported Share, in particular our friends at Tooting Business Network and Polesden Lacey who have supported us for many years. 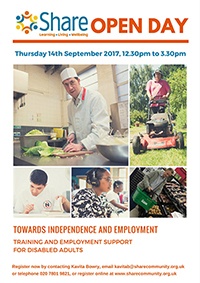 We're now looking forward to our next event – Share's Open Day – on Thursday 14th September 2017, from 12.30pm to 3.30pm, with lunch. The day is aimed at all professionals, carers, support staff and prospective students looking for their next step. 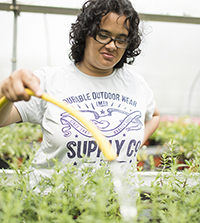 The day will focus on our Independent Living Skills Programme, but this is also a chance to have a look around all of our facilities, including our Immersive Learning Centre, and chat with staff and current students about life at Share, and how we can support disabled adults towards independence and employment. Join us for an informative day. You can register online, or email marcomms@sharecommunity.org.uk or telephone 020 7801 9821 to book your place. We are delighted to have received funding for one of our flagship projects, Go Anywhere, Do Anything, the future of which has been secured for an additional three years, thanks to funding from the Henry Smith Charity, Mercers' Company, Merchant Taylors' Company, and the Hummingbird Trust. 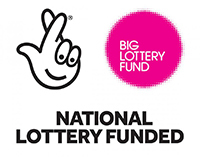 Share's 'Happy Healthy Life Project', aimed at improving the health and wellbeing of people with learning disabilities and autism, has received funding from the Big Lottery Fund's Awards for All programme, which will allow us to deliver more exercise and sports activities for Share students. 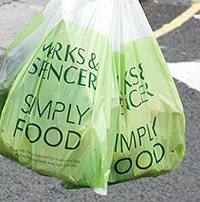 Thank you to the customers and staff at M&S Clapham South who have raised over £2000 for Share through the mandatory carrier bag charge over the past year. To coincide with this year's General Election, Share ran its own Election Day for Share students to get them involved in the country's democratic process and hopefully encourage them to vote in the General Election. SO, WHO WON THE SHARE ELECTION? 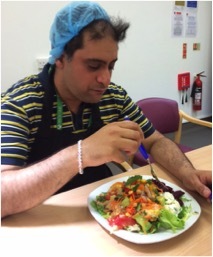 Share's Independent Living Skills and Healthy Living programmes have been working together to help our students learn how to cook simple, healthy and nutritious meals that they can prepare at home. As part of our employability work, Share students have been learning about volunteering with Share's Job Coach, Claire Smith. We're delighted to be celebrating 200 sessions – the equivalent 400 hours or 24,000 minutes – of sports and exercise sessions for Share students with Disability Sports Coach who have been delivering sessions at Share twice a week since 2015. 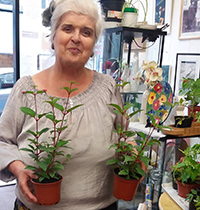 In another example of partnership working, local charity Wandsworth Oasis is selling Share plants in its stores this summer. 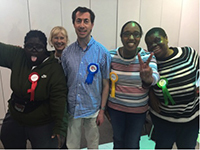 Thank you to everyone at Wandsworth Oasis – great to be working with you! This month we say hello to Eolan Healy and Lucy Hand who have joined the staff team here at Share. 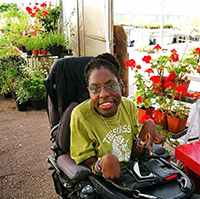 Eolan joins us as Independent Living Skills Team Leader, and Lucy joins the gardening team as Deputy Horticulture Training Manager. A warm welcome to you both – great to have you on board! 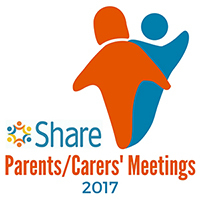 A reminder that Share will be holding its regular parents/carers' meeting on Wednesday 26th July 2017, from 11am to 12.30pm. This month Laeeq Ahmad, the Learning Disabilities Commissioning Manager for Wandsworth and Richmond Council, will be at the meeting to take general questions and talk about the Council’s future plans. All parents and carers of Share students are welcome. Please email info@sharecommunity.org.uk or telephone 020 7924 2949 to book your place (so we can make sure there is enough cake for everyone! ).